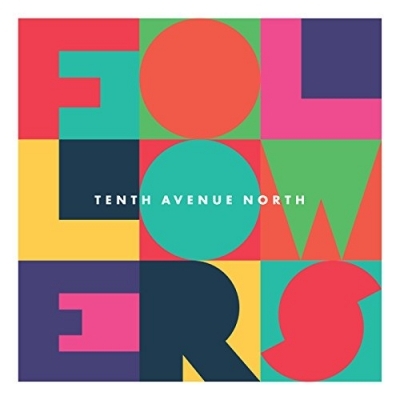 Tenth Avenue North have now released their fifth studio project, Followers. This project has already produced the No. 1 song at CHR radio with the debut single "What You Want." Leading up to this album release, the group has posted multiple lyric videos, each accompanied by a video journal from lead singer Mike Donehey sharing the meaning behind the songs. Media have already been touting this new album from Tenth Avenue North as a "lyrical genius" (NewReleaseToday), "fantastic release" (JesusWired), "well-rounded album that is worth your time and money" (JesusFreakHideout). The group also graces the cover of CCM Magazine out this week along with a special video interview and performance on CCM Features on Film featuring special guest Matt Maher. Preluding this new release, Provident Label Group / Reunion Records announced that Tenth Avenue North has received its first RIAA gold certification for the album Over And Underneath. This project was the group's national label debut that birthed their hit songs "Love Is Here," "By Your Side" and "Hold My Heart." The song "By Your Side" was named GMA Song of the Year (2010). Supporting the new album, Tenth Avenue North is currently on the "What You Want" tour with special guests Hawk Nelson and Dan Bremnes. The 14-city tour kicked off last week and will conclude on November 5 in Farmington, MO.